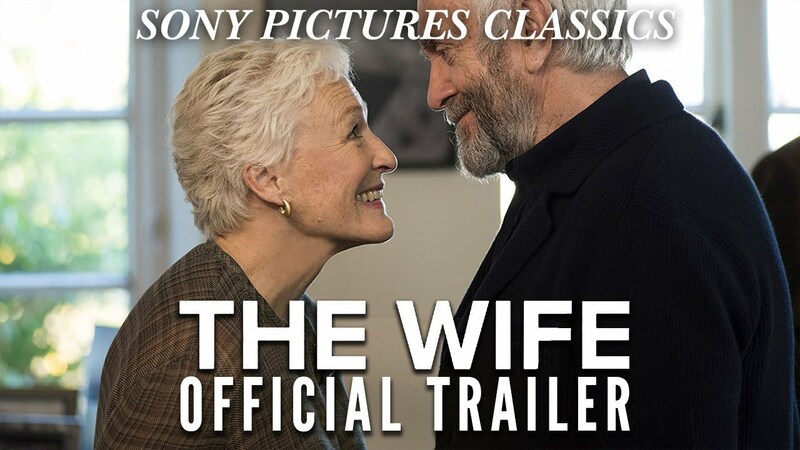 With a title that turns out to be tellingly tongue in cheek, what starts out as a relatively benign story of an elderly Jewish man, Joe Castleman (Jonathan Pryce), winning the 1992 Nobel Prize for literature and his relationship with his WASPish wife, Joan (Glenn Close) and children, morphs into something quite different. As it starts slowly, it establishes that Joe has become a literary icon and both he and Joan are thrilled to learn of the award. They board The Concorde for the flight to Stockholm with their son, David (Max Iron), and are accosted by another passenger, Nathaniel Bone (Christian Slater, in a standout performance) who wants to write Joe’s biography. Joan is shown as a staunch supporter of Joe, while Joe minimizes David’s talent as a burgeoning writer and she mediates. Once they arrive in Stockholm, however, things change. The unctuous Nathaniel doesn’t give up and, as he tries to insinuate himself as Joe’s biographer, courts Joan to support him. Joe, in the meantime, is being hit on by a beautiful photographer, Linnea (Karin Franz Körlof), apparently aware of his many infidelities to Joan. All the while we learn more and more about what the relationship between Joe and Joan really was. There are flashbacks that show Joe (Harry Lloyd) and Joan (Annie Stark) living together in Greenwich Village as a struggling young couple as Joe tries to get a publisher. Directed by Björn Runge with a script by Jane Anderson based on Meg Wolitzer’s 2003 novel of the same name, lots of sublimated problems come out as the tension between Joe and Joan constantly mounts. All the while Joan maintains her refined demeanor. While it is definitely a story about a woman’s idea of her identity and liberation, it’s also a story of complex relationships among all the characters, Joe, Joan, Nathaniel, and David. I generally think that movies are too long, but this one has little wasted time.